WELCOME TO MY MONEY MISSION ONLINE: COLD SORE SUNDAY AND FREE COFFEE...WHAT A COMBO! COLD SORE SUNDAY AND FREE COFFEE...WHAT A COMBO! 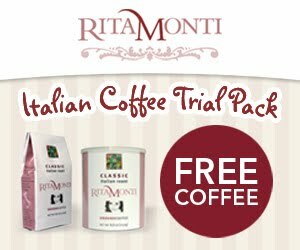 Head on over to the Rita Monti Italian Coffee facebook page to score a FREE trial pack of coffee. Just scroll down and click on the “Claim Coupon” link, then fill out the form. You will receive 2 8 oz bags of Italian coffee! As most of you know, I LOVE my coffee!! Thank you for the tip and awwwww poor baby about your lip!